Yes, that’s right. The Bold Abode is for sale. Say what??? No, we’re not going anywhere so don’t start any crazy rumors now. 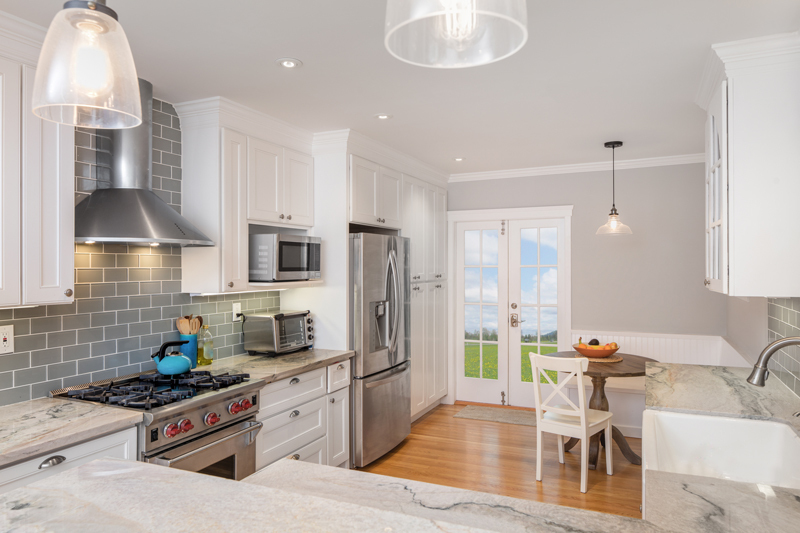 We alllmost put the house on the market last year, but as soon as we got really serious and almost ready, 2 very similar homes popped up on our street and we felt the competition was just going to be too much. Then we refinanced instead. It helped a. lot. And we are super glad we waited because the market is so much better now, and we are in a much better position to do what we need/want/hope to do. So, now we’re living in a staged home. Personally I love it. And then I hate it. It’s like living your best self and never being allowed to take your tight jeans off. Awesome and painful at the same time. So how do you do it? I’ve gotten into a bit of a routine that seems to be working for me pretty well and just had to share it with you guys. Before I start the tips, I’m assuming your house is already super decluttered of junk, personal photos and the like. I’m assuming your home is staged by a professional. Our realtor has certified stagers in her group, and I’m here to trust the professionals with this. The best tip I have is to not think you know it all here. Use the resources your realtor has and trust them. 1. Don’t cook on the stove. The stove top is the hardest to clean in my opinion. So I’m doing only things that require baking or nuking. It’s the oven or the microwave. Yes, I’m buying a few more prepared foods, but it saves my sanity and I do try to serve fresh fruits and steamed veggies when I can. If you don’t mind cleaning/waxing your stove top every night, then by all means use it. If I had gas instead of glass, I’d probably not care so much. It’s the waxing that takes it out of me. So, we use the outdoor grill a TON. Which we do a bunch in the spring/summer anyway, so it’s not a hugemo deal. 2. Shine your sink every night. This is a general flylady tip anyway. Making sure the sink is clear of dishes helps so much the next morning. I can scour it just a bit before I go to bed and it’s shiny and ready to go at a moments notice. Oh, and use this tip for getting your stainless sink to really shine. 3. Run your dishes every night no matter how small your load and then put them away first thing in the morning. By doing this, you always have a dishwasher ready to hold the dirties. Otherwise, you have to stress about the dirty dishes in the sink if you get a last minute call to show the house. And stress has no place here. Moving is hard enough. Let’s make it as painless as possible and make those dishes work for you instead of against. 4. Swish and swipe the bathroom every time you go. The same goes for the mirror, shower and counters. Wipe them down, spritz them with cleaner and keep them sparkly. Another great flylady tip is to scrub the shower while you are in there. Soap is soap, my firends, and I’ve been known to use a squirt of shampoo to keep my shower clean and tidy. 5. Make your beds every morning. Now this is a great habit to get into anyway. How awesome does it feel to walk into a room with a made bed. I lurve it. But when you are showing your home, you save so much last minute time if the beds are already made. Yes. It’s hard. But hopefully worth it in the end. Sometimes if feels like we can’t really relax, but honestly, these are very good habits to get into and will hopefully feel natural once we are through this process. This is our first home so all of this is new to me! Hopefully learning to live in a staged home will make this process a little less painful and help move us toward our financial goals. 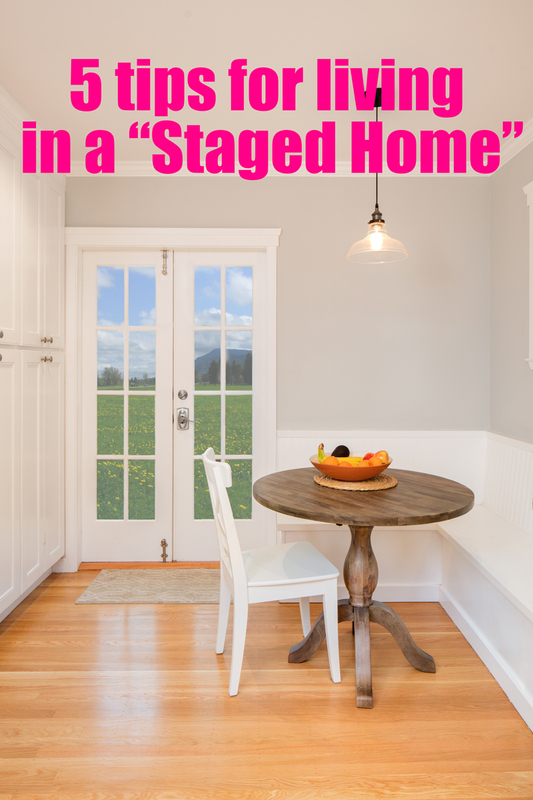 Do you have any tips for living in a staged home? Let me know down in the comments below! P.S. We’re having lots of interest so far! Check out the listing here on Zillow.